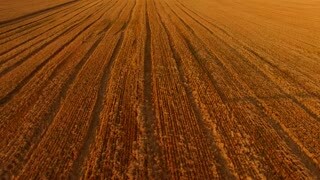 Golden field, aerial view. Big wheat field. The wealth of homeland.